Sunny. High 67F. Winds WNW at 10 to 15 mph.. Partly cloudy skies early will give way to cloudy skies late. Low 44F. Winds NNW at 5 to 10 mph. 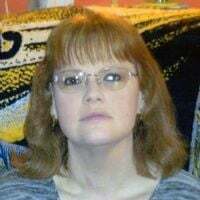 Sherrie Lee Lane Simon-Corley, 53, a resident of Montgomery, passed away on Friday, April 12, 2019, at UPMC Susquehanna Williamsport. Born on Thursday, June 3, 1965, in Muncy Creek Township, she was a daughter of the late Donald W. Simon and Patsey A. (Adams) Simon, who survives, of Montgomery. Sherrie was a 1983 graduate of Muncy High School. She was employed as a health care provider. Previously she was employed by the former Lending Textiles at Montgomery, the Dandy Market at Unityville, Turkey Hill at Muncy and Dollar General at Muncy. Sherrie was a former social member of the Turbotville VFW. She loved to write recipes and enjoyed word search puzzles and coloring. She was an avid Steelers fan and enjoyed watching wrestling on TV. Sherrie was an avid collector of cows. In addition to her mother, Sherrie is survived by: her companion, David J. Jones of Montgomery; one brother, Dannie W. and wife Mystine Simon of Montoursville; one nephew, Daniel Simon; two nieces, Shelby Simon and Emily Simon; and two stepdaughters, Tessa Jones and Maddie Wheeler. Funeral services will be conducted at 10 a.m. on Wednesday, April 17, 2019, at the Galen R. Betzer Funeral Service, 108 N. Main Street, Muncy, with the Rev. James R. Pentz, pastor of New Covenant Assembly at Montgomery, officiating. Friends may call from 7 to 9 p.m. on Tuesday at the funeral home. Interment will be in the Elimsport Cemetery. Please visit www.betzerfuneral.com to sign the guest book or send an e-condolence. Add your non-profit event to our calendar for FREE!